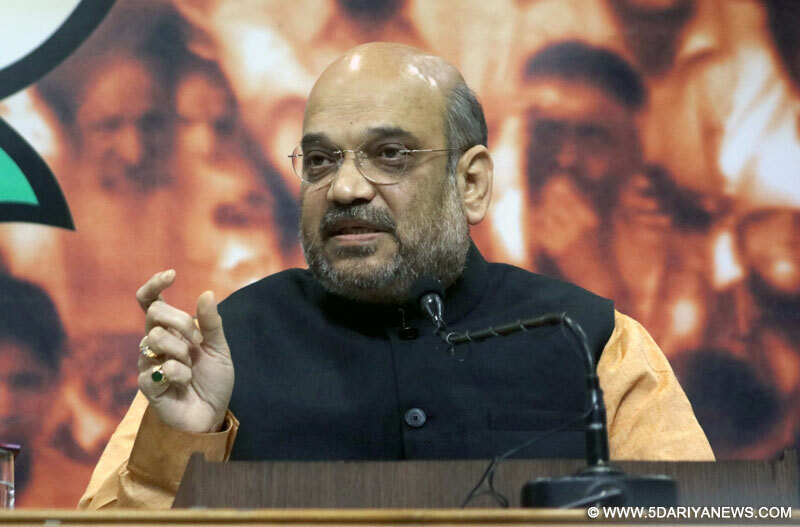 BJP President Amit Shah on Friday hailed the Modi government for registering 8.2 per cent growth in the first quarter of 2018-19 and said that it was a reflection on the transformative changes being ushered in. "India's rapidly growing GDP is a reflection on the transformative changes being ushered in by Prime Minister Narendra Modi's government. Indian economy is witnessing unprecedented growth in every sector, from manufacturing to agriculture," he tweeted.He said India's rising economic power means better prospects for the common man, who will now have more means and opportunities to realise one's dreams. "India, under Prime Minister Modi's leadership, is now empowered more than ever. My compliments to the Prime Minister for this stupendous performance," he said.Hitting out at Congress-led UPA, he said Indian economy was in a shambles when Modi took office. "But an unfazed NDA, the entire cabinet, singlemindedly focussed on putting India back on the track. The Prime Minister and Finance Minister Arun Jaitley undertook the arduous task of putting fundamentals in place amid heightened expectations," he said in another tweet.As per an official data released by the Central Statistics Office (CSO), the GDP at 2011-12 prices in the first quarter of 2018-19 registered a growth of 8.2 per cent, up from 7.7 per cent in Q4 of 2017-18 and 5.6 per cent from year-ago corresponding quarter.